Monaco's Charlotte Casiraghi is reportedly having a baby with comedian Gad Elmaleh and the pair are expected to tie the knot soon. Monaco's Charlotte Casiraghi is expecting a baby. The 27-year-old royal and French comedian Gad Elmaleh have reportedly got engaged and will welcome their first child together into the world just before Christmas. A source told People magazine, "Theirs is a beautiful love story and now there is a baby on the way. It's a proud moment for them." The news comes five months after Charlotte's brother Andrea and his fiancée, Tatiana Santo Domingo, had their first child. Charlotte ? who’s the daughter of Princess Caroline and her second husband, the late Stefano Casiraghi ? met France's favourite funnyman in November 2011 at the home of a mutual friend. Gad (42) already has a 12-year-old son from a previous relationship. It’s rumoured the couple will wed in a private ceremony at the end of August. 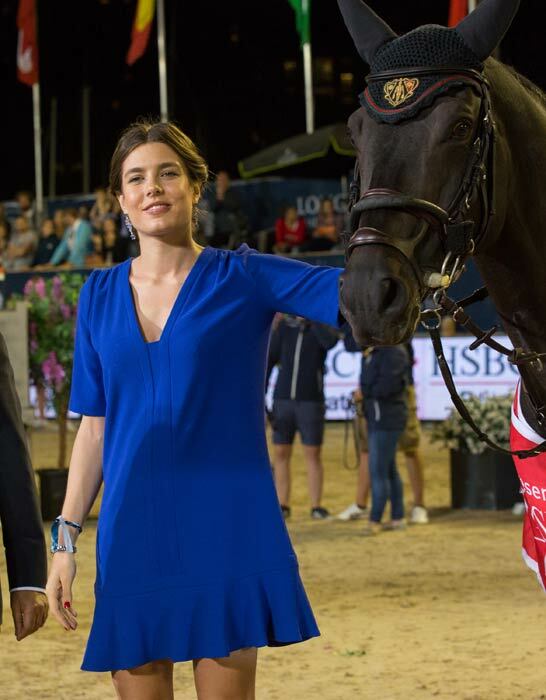 The news comes as little surprise since Charlotte, a champion equestrian, was spotted with a noticeable baby bump while holidaying in Capri, Italy. She was also seen shopping for baby clothes.